The first step for effective alcohol treatment requires the patient’s sincere desire to get help and more importantly, accept that help willingly. It has been observed that alcoholics who have either been forced to quit due to certain circumstances in life or due to the pressure from family and friends, often tend to fail in the long run. The patient’s own volition is crucial and it is one of the key factors for the entire treatment process to become successful. The decision to undergo alcohol treatment is usually never made out of the blue. Letting go of the habit and transformation does not happen overnight. Denial is one of the biggest obstacles that hamper a desire to change. Some people do not want to admit that they have a drinking problem. Others acknowledge it, yet make excuses to justify the habit. The alcoholic will have to evaluate if drinking is worth it, considering its costs and benefits. He / she will also have to take into account, the impact alcoholism exerts on the person’s quality of life and also learn to understand its consequence on his / her social life and relationships. So, we cannot stress enough on the importance of the individual’s will and desire to fight this battle. Volition is then, of primary importance for this entire process. Quite similar to substance abuse treatment, alcohol treatment also requires a combination of two approaches. These approaches are pharmaceutical treatments and non-pharmaceutical methods and therapies. It seems that you can never do one without the other in order to assist the patient in the long and challenging journey ahead. Following initiative, one must undergo non-pharmaceutical methods as part of alcohol treatment. One should set goals regarding when they want to cut back or stop drinking altogether. Goals to limit the amount of alcohol intake and the practical application of such limitations are part of the approach. The next step includes the announcement of these goals to the person’s friends and family members. This requires the person to be upfront about his / her intended limits. Another vital aspect of the process is to get rid of any possible temptations and avoid bad influences. During this hard process, one should reflect on any previous attempt to quit if any and analyze why he / she did not succeed in that attempt. When looking at such experiments in retrospect, the person should be able to assess what worked and what did not facilitate the process. Keeping these factors in mind, the person can continue working constructively and diligently in getting rid of this habit. Some people have found that maintaining a drinking diary helps them a great deal. Each drink had by the person should be noted and the record should be kept for about a month. This will help to determine the amount of alcohol consumption and also keep track of the progress made by the person in trying to counter the habit. Another step that has assisted in this process is to consciously keep limited supplies of alcohol in the house. Some others have found that drinking slowly, when they do drink, actually helps. In fact, there are a few people who try and limit alcohol consumption to a particular day of the week. Of course, the treatment process will take a substantial amount of time and effort. One should seek support from counselors, family, friends and health care providers. It is also beneficial to talk to other recovering alcoholics. Getting professional help may also be advisable. It might also be a good idea to enquire about insurance and other related details to get the best possible counseling services. There are several prescription medications approved by the FDA for alcohol treatment. Acamprosate relieves discomfort and distress, Naltrexone reduces the craving for alcohol and Antabuse is a form of deterrent, which basically makes you sick when you take in alcohol. Needless to say, a medical practitioner must be consulted before taking any medication to counter alcohol consumption. Support groups like Alcoholics Anonymous, Secular Organizations for Sobriety, SMART Recovery and Women for Sobriety can be a good source of help. They can provide assistance, encouragement and guidance as the alcoholic strives to recover. This is an important part of the alcohol treatment process. 95% of alcoholics will experience withdrawal symptoms. Some symptoms can be moderate and can be treated at home. Other symptoms may vary from moderate level of discomfort to life threatening delirium. It is important to seek medical assistance in severe instances. 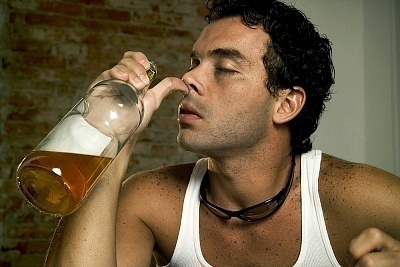 Only five percent of all alcoholics will go through severe withdrawal symptoms. Severe cases of withdrawal should be treated in detoxification facilities and hospitals. Detoxification will include close monitoring of the patient’s withdrawal symptoms. Sometimes patients are prescribed with benzodiazepines. Detoxification may last up to seven days. There are thousands of treatment facilities all over the United States. Alcohol treatment requires a lot of courage, will power and conviction. But having said that, once the person survives the acid test, he / she is bound to reap rich rewards by enhancing his / her general well-being, health and happiness.